What are the best-selling games in the Steam charts in this week 41 of 2018? Every week PCGamesN recount the highest performing titles on Valve’s platform, from the ten Steam top sellers to the Steam games with the most concurrent players. Why? Because knowing what games people are flocking to is useful for discovering new titles and reminding us of the ones we really ought to have tried by now. This week a massive new Mediterranean adventure sails straight to the summit of the Steam top sellers chart. The top sellers list has room for a couple of big new names, but the game, and one of them has managed to force their way into the top Steam charts for concurrent players. Join us as we list the top ten games for each category along with a brief analysis of the week’s biggest surprises. Typically the games that make up the top ten of the Steam sellers chart are there because a discount has finally swayed buyers that were once on the fence. That certainly seems to explain the positions of Frostpunk and Dragon’s Dogma: Dark Arisen. The dark, frostbitten strategy game from 11 bit studios is enjoying a tasty 27% off – with other sales ongoing in a wider studio sale – and Capcom’s sadly overlooked RPG has a massive 70% lopped off its price. But, it’s one of the most-anticipated games of the year that’s top of the pile this week: Assassin’s Creed Odyssey. 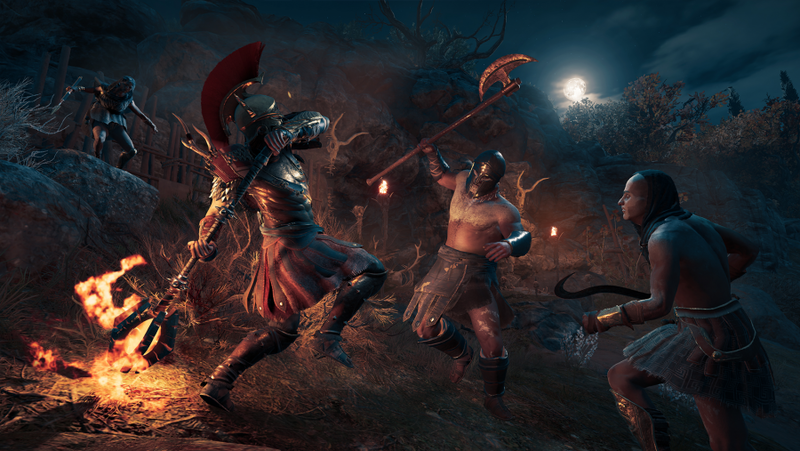 Curiously, while Odyssey’s physical sales were down on last year’s effort, Origins, it has a higher player count, suggesting that Ubisoft’s foray into Ancient Greece has performed well on digital storefronts such as Steam. Elsewhere, Firaxis Games’ strategy behemoth XCOM 2 is on sale to celebrate it’s wonderful gameplay goodbye, the Tactical Legacy Pack, a free update to owners of the War of the Chosen expansion. The same old faces at the top of the Steam charts by concurrent players are normally pretty tough to budge. However, whether you’re taking the helm of the Adrestia trireme as Alexios or Kassandra, your newest Templar-bashing romp has found its way into the top ten. Bumping gritty survival game Rust out of the top ten is no mean feat, considering that this is a full-priced, single-player triple-A title. To see how these figures compare to last week’s check out the Steam charts for week 40, 2018. So, there you have it, these are the games people are buying and playing right now – so whether you want to leap onto a new trend or simply find something new to play, this could help.